The fact of the matter is Chris Felton, our sign language interpreter, and Sharon Cybart, the White Witch, had discussed it before but many productions don’t lend themselves to sign language interpretation. This time though, Chris looked over the script and felt it was workable. So not long after the rehearsals moved to the high school Chris started showing up with a script, a stool, and a watchful eye. Then during tech week she sat in front of the stage on a short ottoman and proceeded to take on the role of all of the actors. Honestly, during tech week, I didn’t have much time to notice, I focused a few lights on her and we discussed the basic light cues I would use, but I was more concerned with the lights on stage. Chris no longer carries her certification but still volunteers from time to time on occasions such as these. Chris taught in Madison for 40 years, interpreted for Deaf students at UW Madison, and has even signed the musical Annie at the Fireside Theatre and a poetry reading by the late Maya Angelou. So on Sunday, when she took her seat in front of the stage and started interpreting the pre-show announcement, my finger was on the slider that ran her light. Her arms and hands moved fluidly through the scenes and when she placed her hands in her lap at the end of each, it was my cue to dim her light as well. 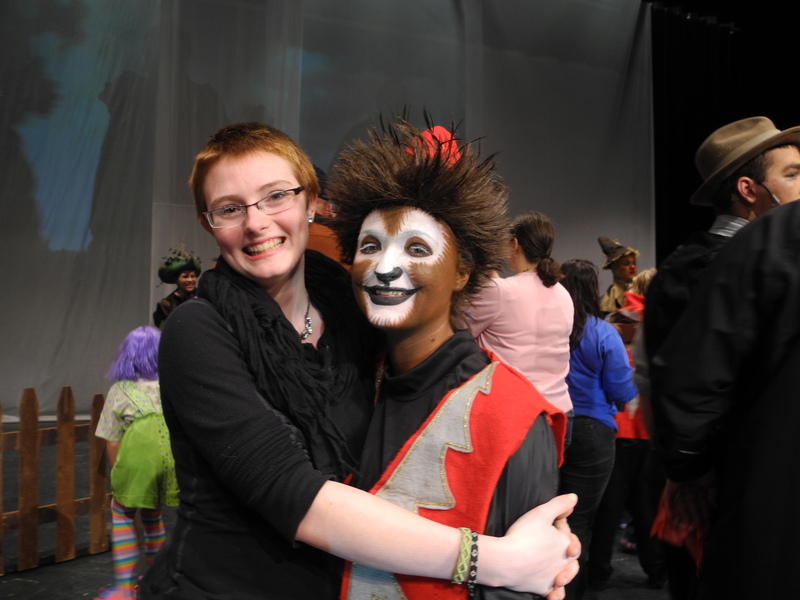 For an hour and a half she interpreted while a dozen from the Deaf community got to see a show. Chris taught the cast to sign both “thank you” and “I love you” before the show and the cast used them in the curtain call. And in return the members of the Deaf community that came signed “I love you” as the curtain closed. While it may not rank up there with all of her accomplishments, Chris can now add that she is the first to interpret an Evansville production. And because of all of her hard work to be a part of this show, a group of people who don’t have many opportunities to enjoy theatre got a chance to do just that. We’re very pleased that Chris will be there Friday evening (July 17) to do one more show. Maybe the best meeting is the second meeting. At the first meeting we have to go over the rules, fill out forms, answer questions and get acquainted with our new cast mates. For those of us who have done this before, we know that this is the beginning of a two month journey and some of us find a bit of comfort knowing that the last several months of struggle to get this point are finally over. But the real comfort comes when we finally sit down on a sunny Tuesday evening with the sun pouring in the windows and, in a large circle, the first actor says the first line. The Lion, The Witch, and The Wardrobe isn’t a musical so there isn’t a vocal director or a pit band which seems like it should simplify things, but it doesn’t necessarily. 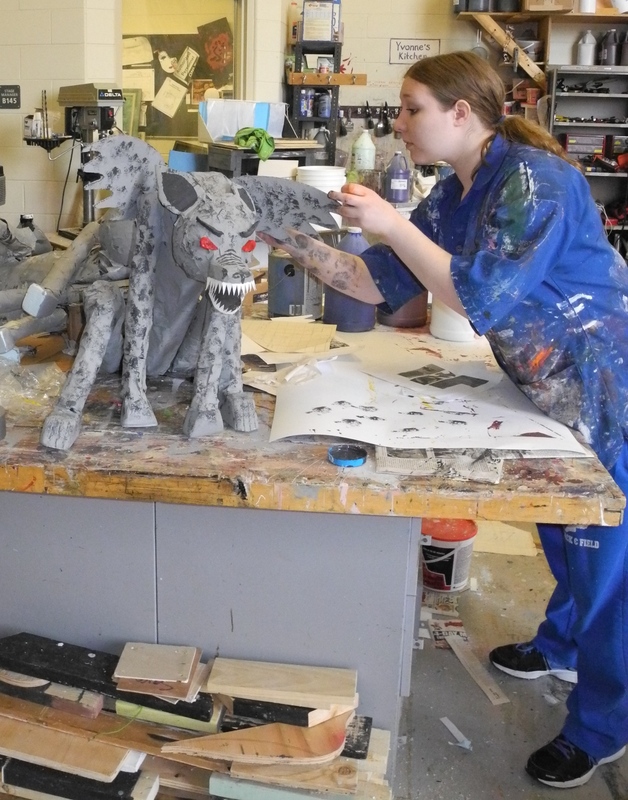 There is still a lot to think about–costume and make-up, lighting an imaginary world, creating props and special effects, building and painting a set and choreographing a battle scene. But that’s a few weeks away. Right now we are happy the actors, in a large circle, are reading their lines. We’re happy they’ve signed on for the fun and challenges that lie ahead. 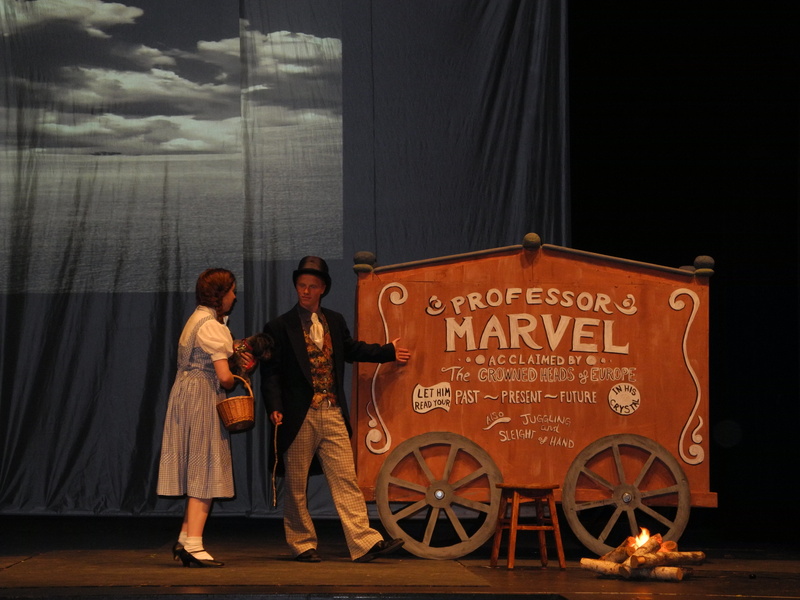 We are finally in May and the business of theatre has turned back into the art of theatre. 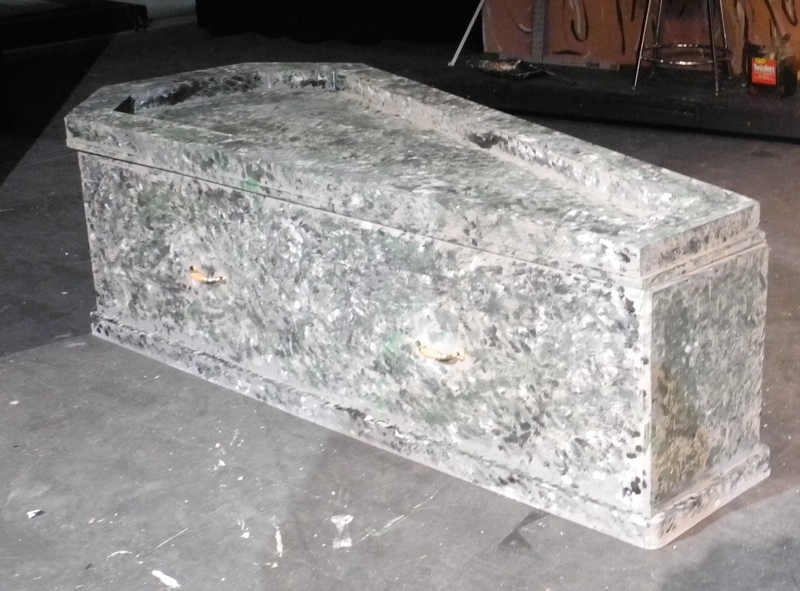 The Evansville High School Drama Department presents the first amateur production of the Addams Family this weekend. Come see it! 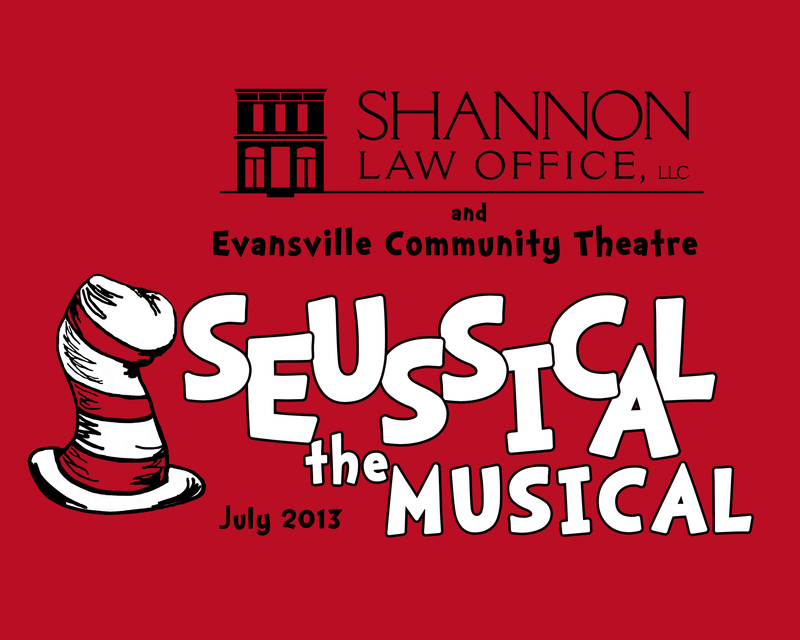 …it’s tech week at the Evansville High School. …and that is why we all do it. 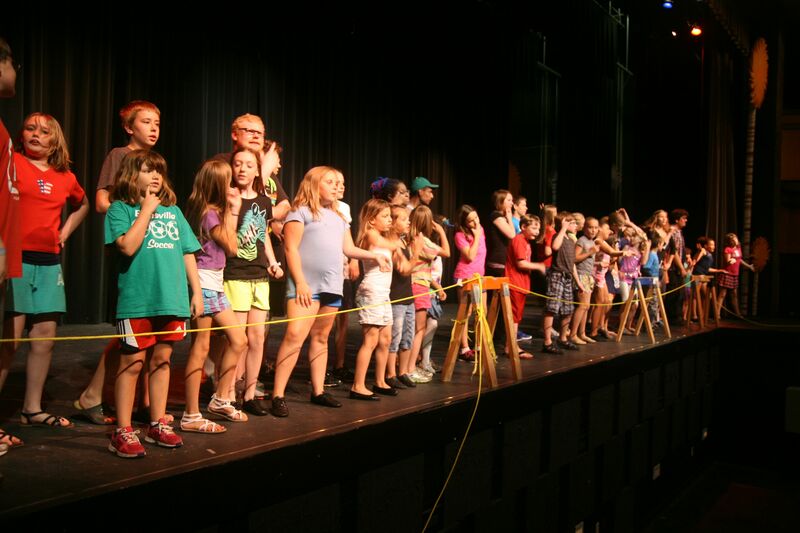 About eight weeks ago, the prospective actors showed up and auditioned for a part. Adults and kids came into the auditorium and sang a few bars and said a few lines, then were taken to the other room to try their dancing skills. And with a musical of this size, everyone is offered a part. The actors spent the next weeks learning the songs, learning the choreography, learning their blocking, and of course, learning their lines. Those weeks are over. 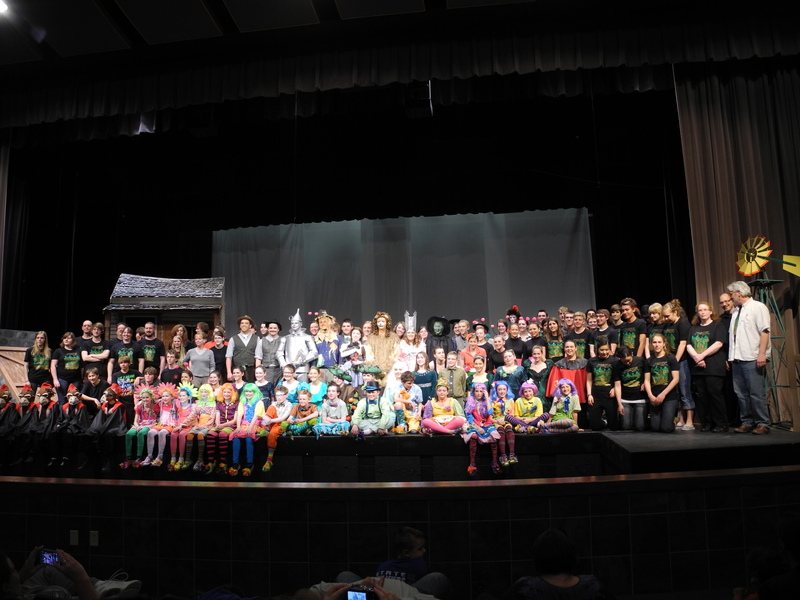 The cast, crew, and pit band. Backstage the costume crew was busy creating, then sewing, glueing, and tacking. Fake feathers in neon colors littered the green room where they worked (and the stage every time the Bird Girls leave it). 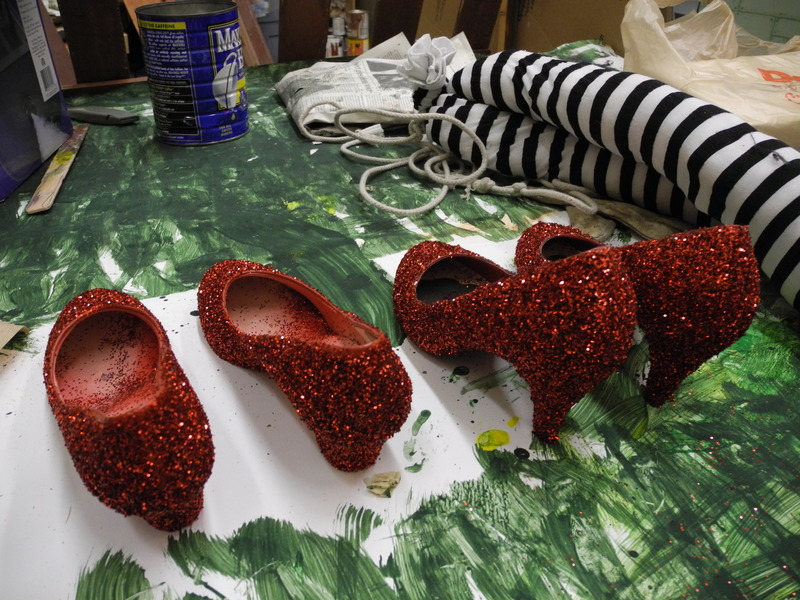 The glitter and buttons, ribbons and material, foo-fluff and thread that adorn the costumes has now been placed where the crew can get easy access to it should anything need repair. The makeup person has had ideas in her head for weeks, trying them on her roommates, but not being able to see how it all looks until the dress rehearsal two days before opening. She has delegated duties to make sure everyone is ready at the appointed curtain time. Fake noses and tufts of fur have to dry on some actors before the makeup is applied. Each actor is magically transformed into their character. 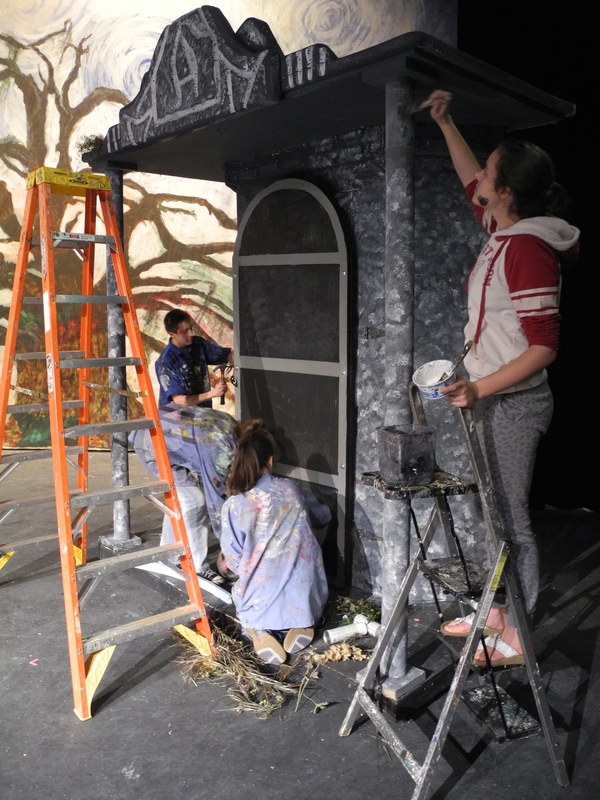 The Truffala trees, and Whoville, and the backdrop and all of the other set pieces are finished but Scott and Dan and Bob are somewhere around in case something needs repair. 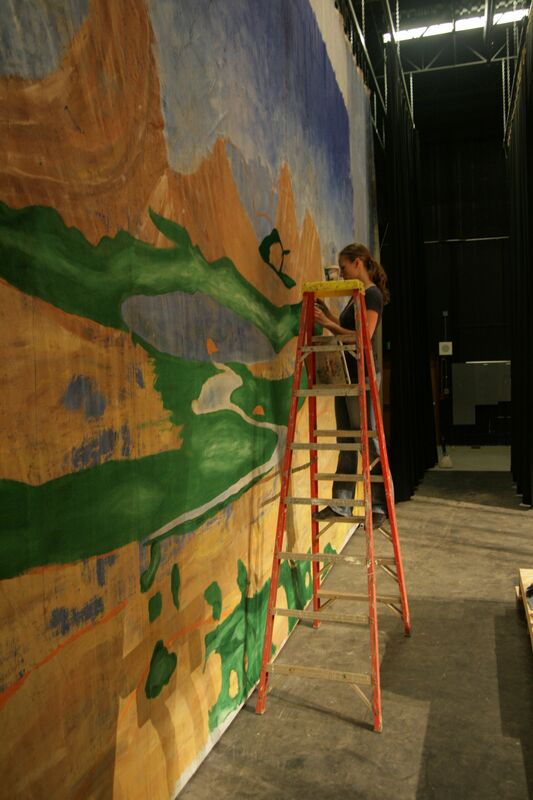 The props master was hoping that the paint would dry on the final props before the curtain opened, after weeks of creating fanciful and wild works of art. 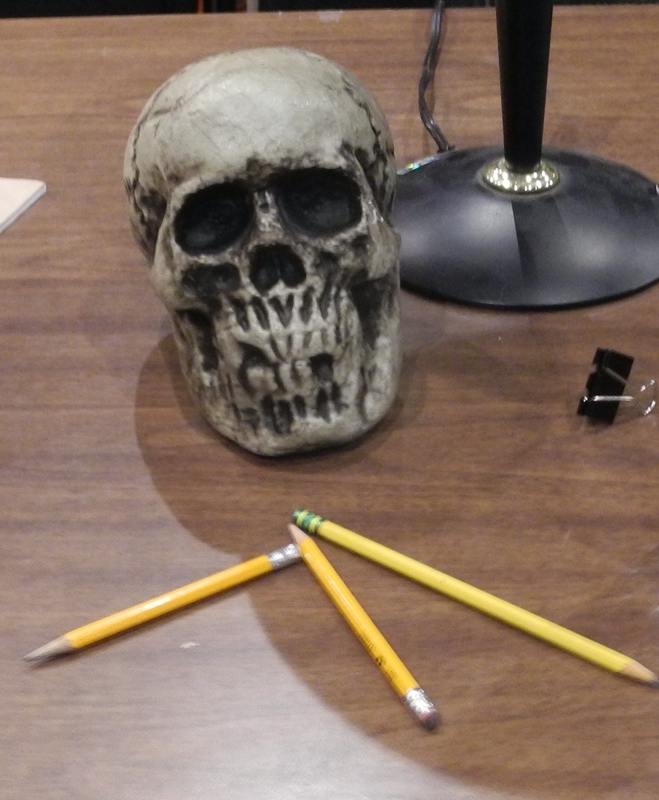 A few weeks ago, the pit band could be heard in the band room across the hall learning the score. A real pit band adds a dimension to the performance that no recording could ever do. 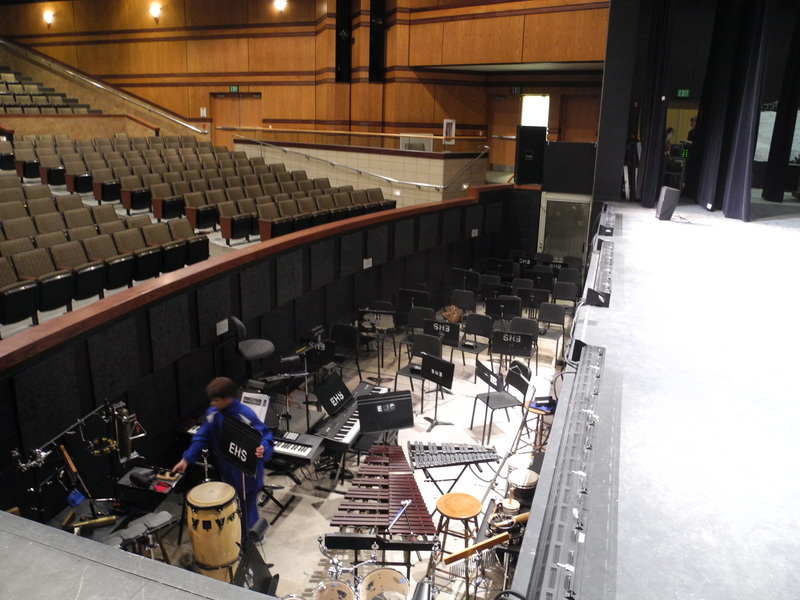 And when they tune and warm up before the show, kids and adults walk to the front to take a peek. 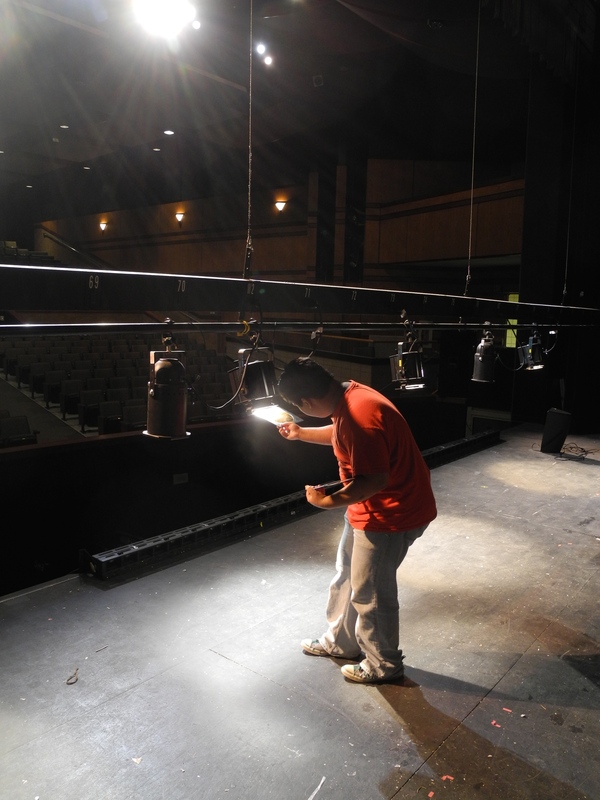 And at 7:02 on Friday night, the stage manager said, “are we ready?” The light guy said, “house lights are down, let’s go.” JoJo came out of the wing, said his opening lines, the curtain opened and the high wire act that is live theater on opening night began. 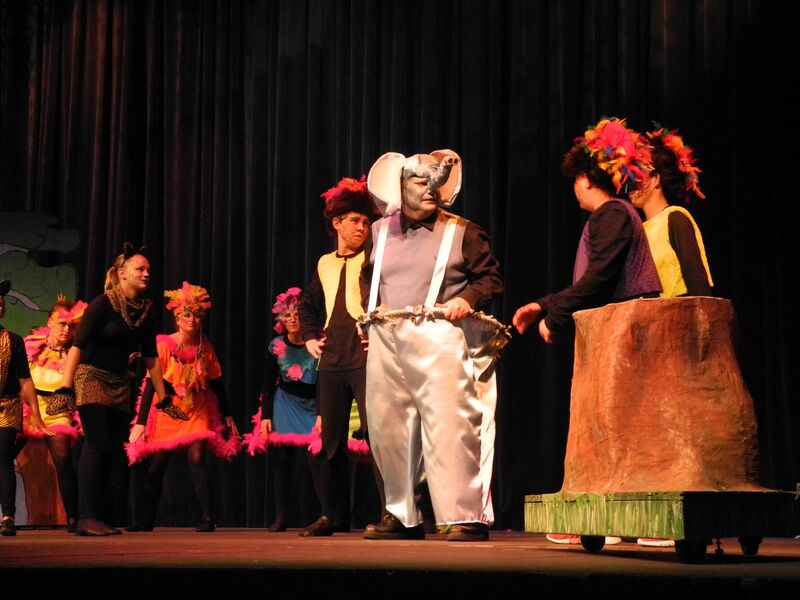 The band hit their first notes, the actors in their brightly colored and fanciful costumes appeared, the set pieces taken from the pages of a Seuss book came to life. Two hours later, the actors had sung and danced their hearts out, the stage managers had wrestled with chaos and won, the band sounded terrific, a few late light cues and the constant concern about battery life in microphone packs were past. 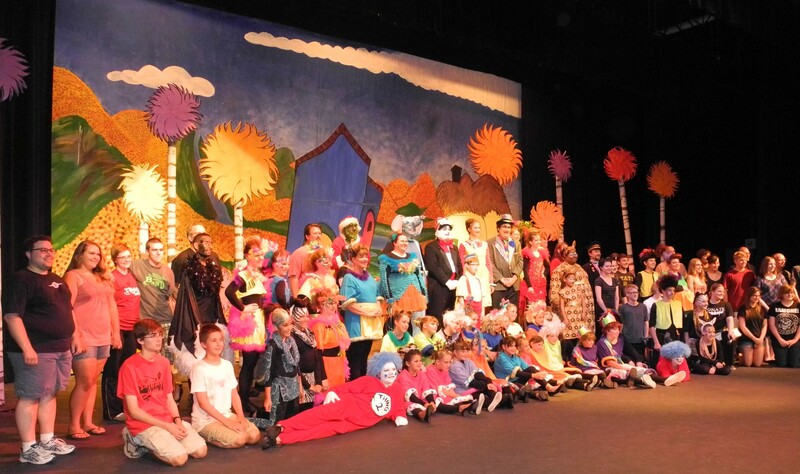 The audience rose during the curtain call and showed all of us why we spent the last eight weeks making this happen! The theater is quiet this weekend, just the tech mice scurrying about with too much to do and opening night baring down in just one week. 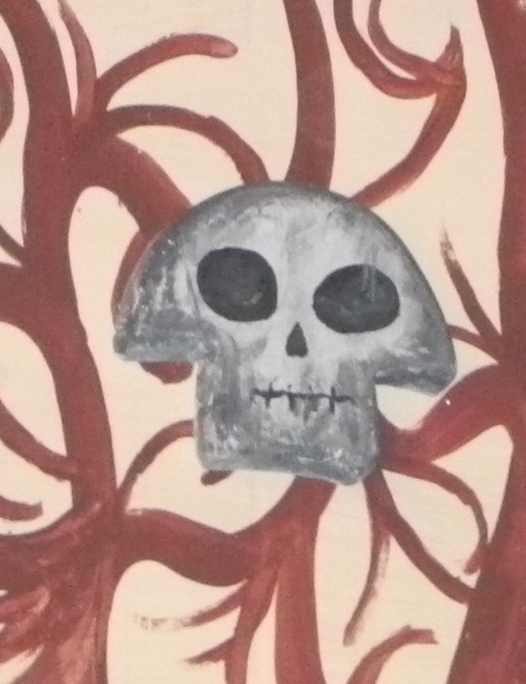 The 4th of July holiday has given the actors a four day break and on Monday they will return, rusty and, hopefully, ready for a long, stressful, and tiring four days of final rehearsals. 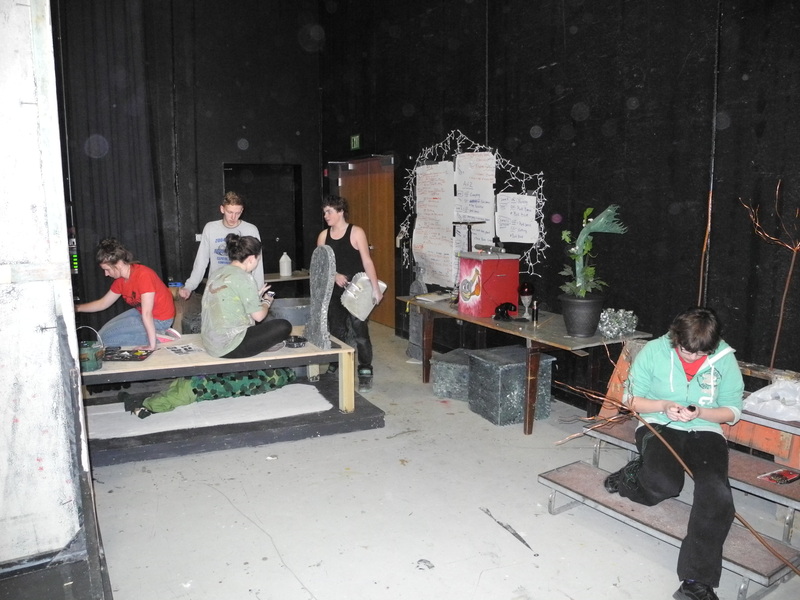 Last Monday the band took their place in the pit and for the first time the actors had live music to work with. There were fits and starts as the real music is at a slightly different tempo, or the lead in has a different intonation, than the actors are used to hearing on the recorded version . 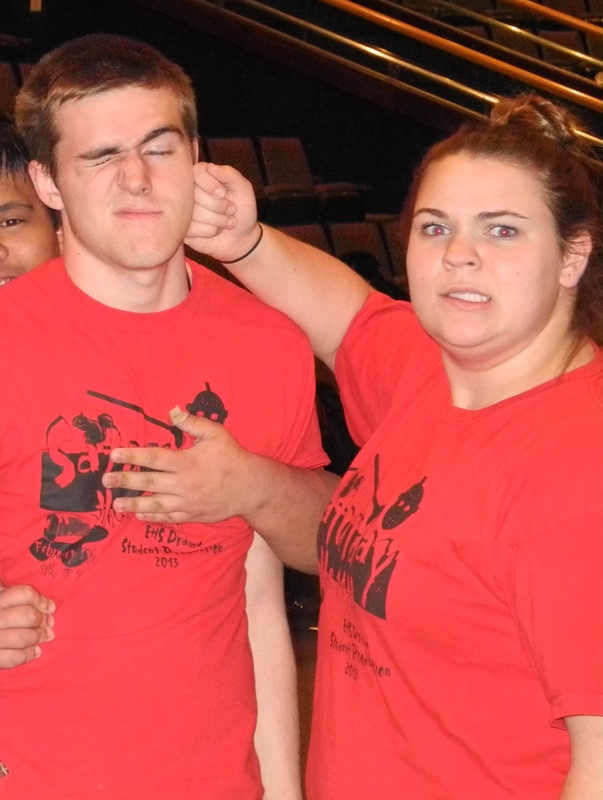 Sometimes the actor and sometimes Steve, the pit band director, say “oh sorry, I missed the cue there,” but nobody really needs to be sorry, it is the nature of the rehearsal. Steve throws out some suggestions, the musicians try something, the actor adjusts, and they pick up where they left off. The good news is they made it through the entire show on Monday evening. We couldn’t remember a previous musical where that had happened. Tuesday was smoother, although the actors are still honing their songs and forgetting a few bars here and there. Even though there is some pressure, every one is still laughing at the miscues and going with the flow. 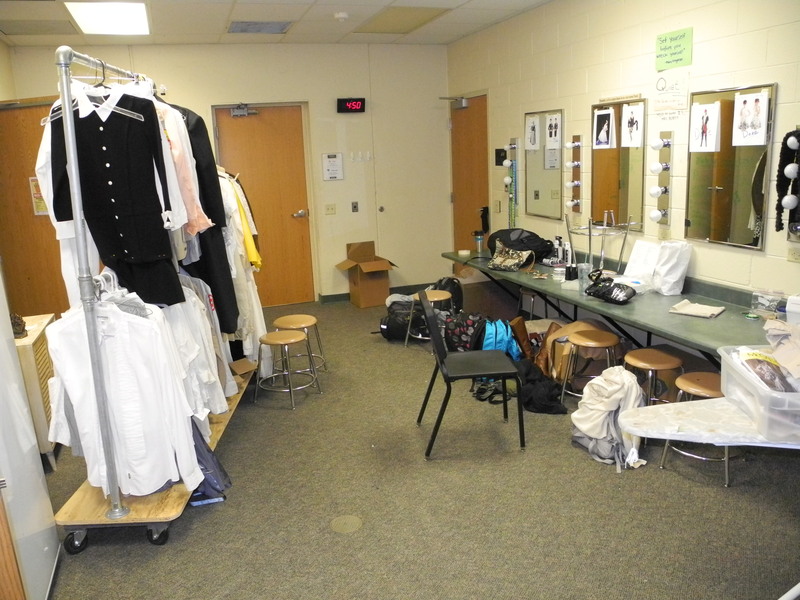 The cast has been forewarned that tempers will start to show as everyone backstage goes into “all business” mode. 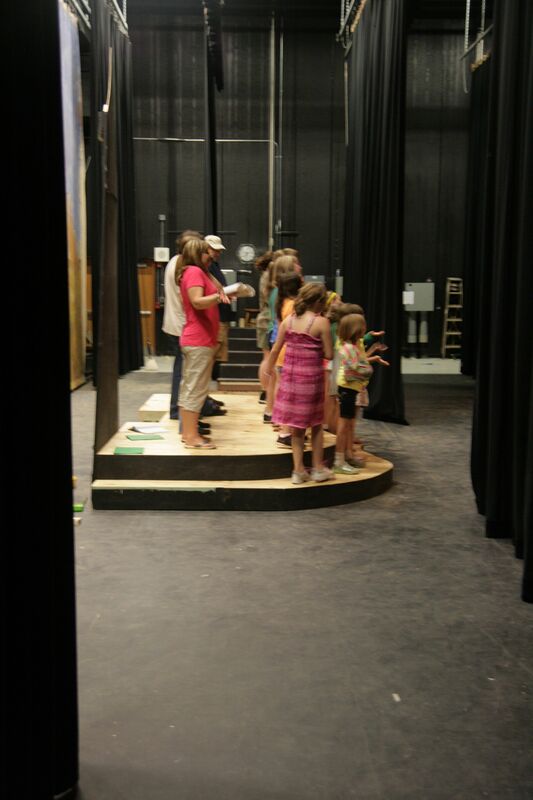 The young actors were told if the stage manager is coming at them, they better get out of the way. Set pieces and props, actors and techies, curtain pullers and helpers, clutter the wings and are all trying to get to their positions. 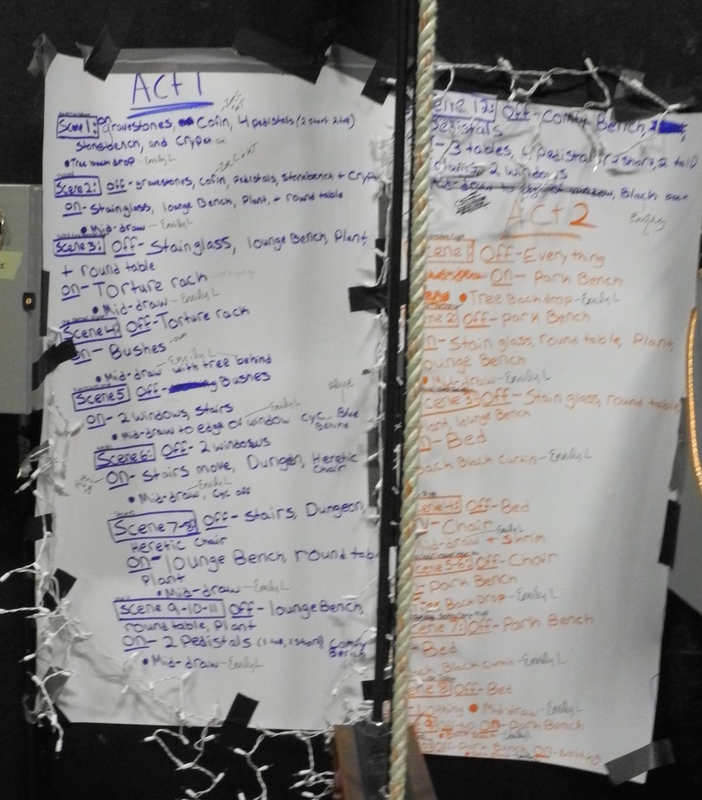 Quiet chaos is the manta of the backstage during a show. 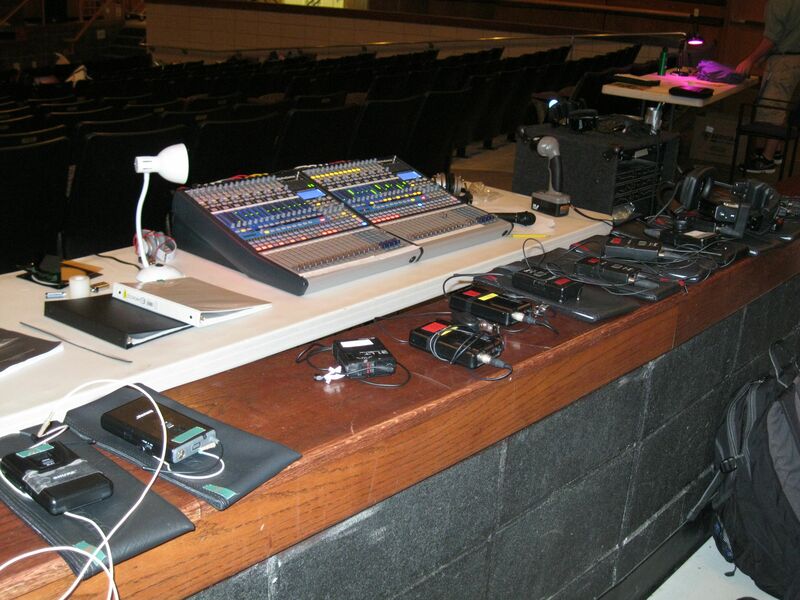 The sound tech, the spot light operators, and the light board operator will be safely tucked away from the chaos but will be facing their own sense of pandemonium. Each has a job to do and this show, more so than some, has potential for wild lighting and sound effects. In the end we will all face this final week of ups and downs, frayed nerves, and long nights with knowledge that one week from tonight, when the curtain opens and the Cat appears, what we love seeing develop over the course of the last eight weeks will have come to fruition. 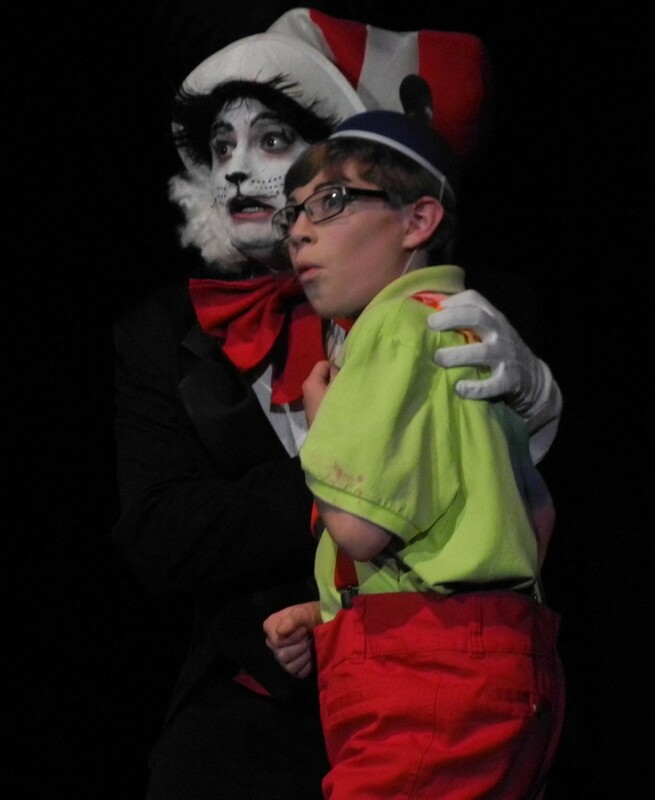 The audience will be there and they will be entertained by a small boy with a big imagination and a mischievous cat and all of the creatures that color this story. That fact will sustain us for one more week. 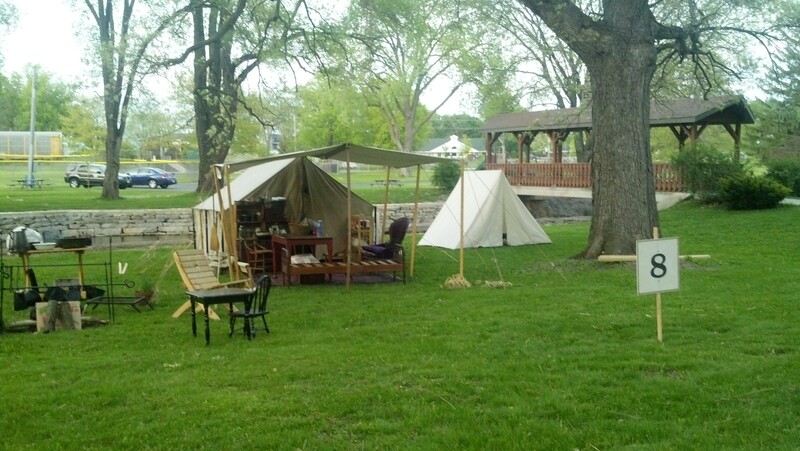 Starting Friday, the Civil War re-enactors of Company H will have taken over Lake Leota Park. The weekend is full of events, including the school presentations on Friday, the re-dedication of the restored Civil War cannon, and the Victorian Tea with Mary Todd Lincoln. Full details and a schedule can be found at the Grove Society website. 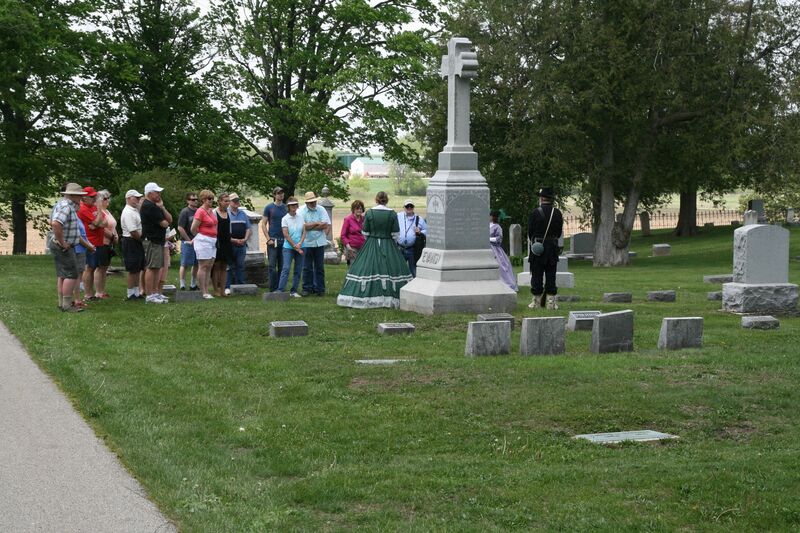 ECT will be presenting another production of Talking Spirits at the Maple Hill Cemetery at 8 pm on Friday evening. The show features five vignettes of Evansville citizens that were involved in the Civil War. At 9 o’clock there is a dedication ceremony to commemorate those who served in the war. The camp in the park will be open all weekend and the re-enactors enjoy talking about the history of the tents and equipment they have set up in the park. Come out and enjoy the weekend! 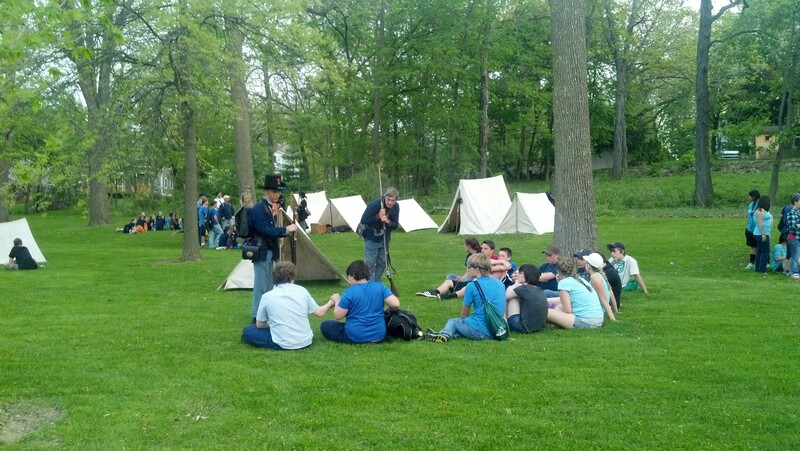 A group of students talk to the re-enactors Thursday evening. 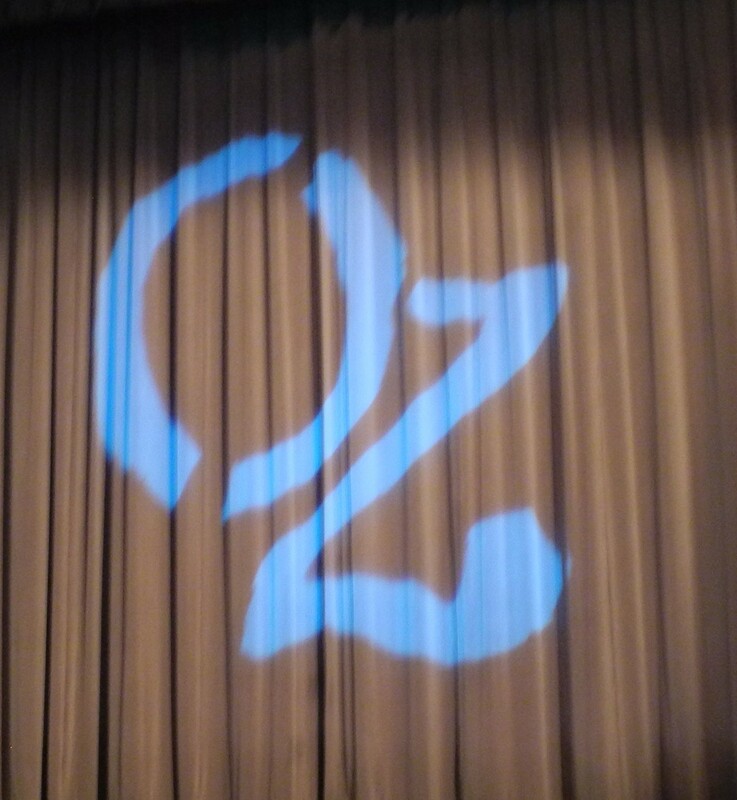 The folks of Kansas and Oz, as well as the two creatures that travel between, will take to the stage one final time today at two for the EHS Drama Department’s production of The Wizard of Oz. Both the Friday and Saturday shows were sold out which had several wondering if that was a first. The entire cast and crew deserve the standing ovations they have received the last two evenings for the hard work they put into this challenging show. They should be proud of bringing another great and entertaining show to the stage. 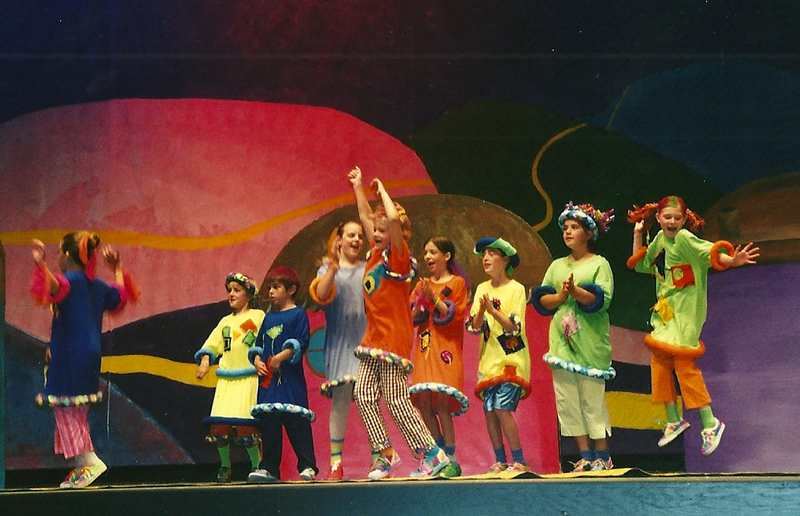 Erin, right, as a Munchkin in the 2004 ECT production of Wizard. 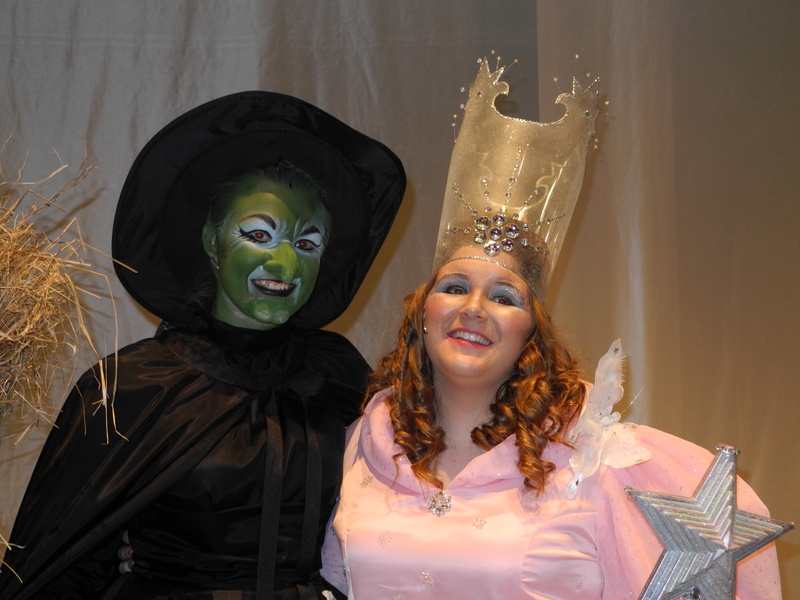 Erin as a senior, left, returns to Munchkinland, as the Wicked Witch. 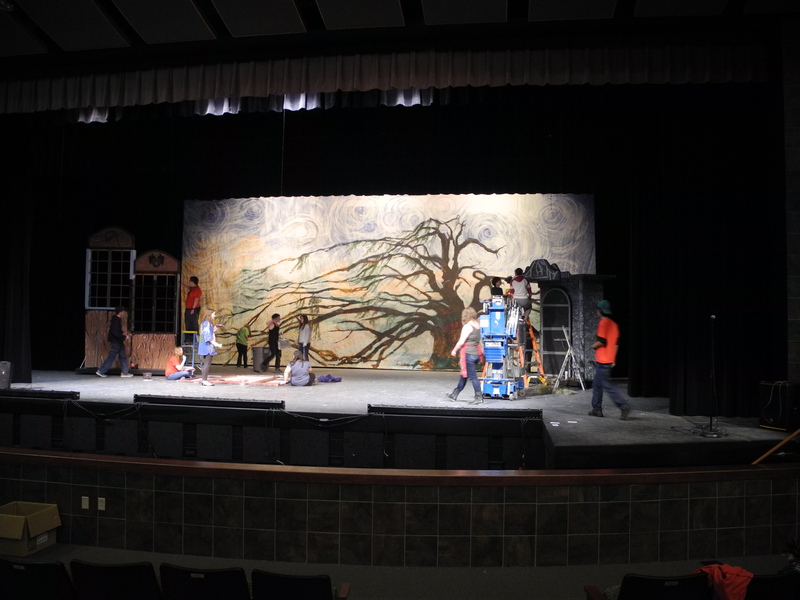 being involved in theater will be an asset wherever they go and whatever they end up doing in life. 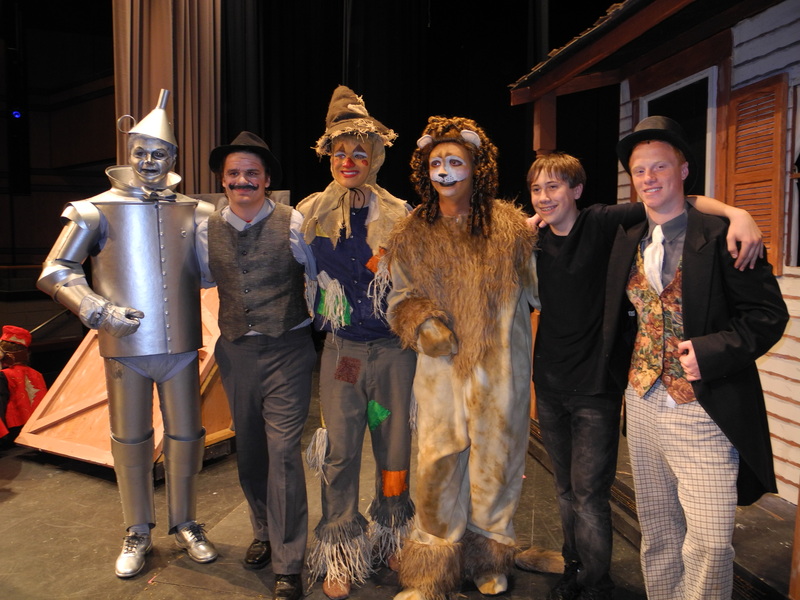 Congratulations and good luck to all of the theater seniors! Seniors Matt and Connor, left, and Andrew, right. It’s finally opening night–the night that makes it all worthwhile. 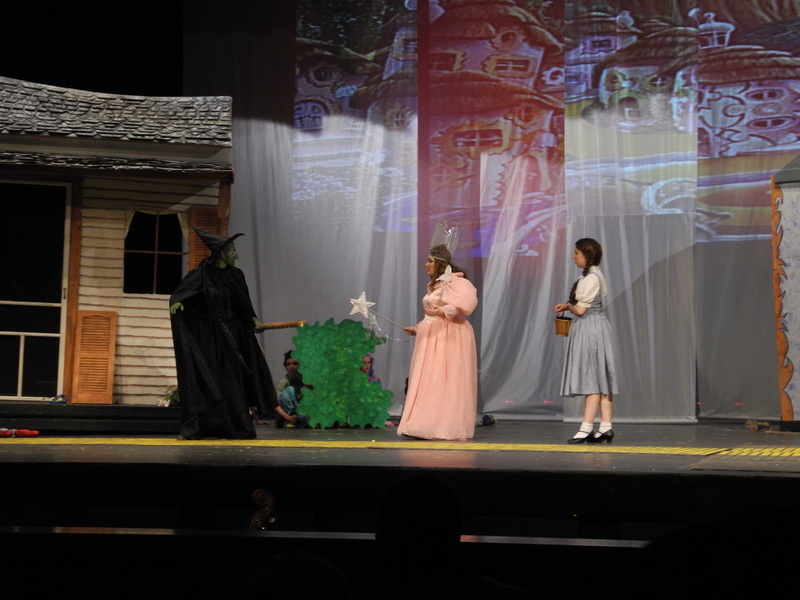 Weeks of work, frayed nerves, punchy laughter, fun, and frustration all come together for three performances of the Wizard of Oz. 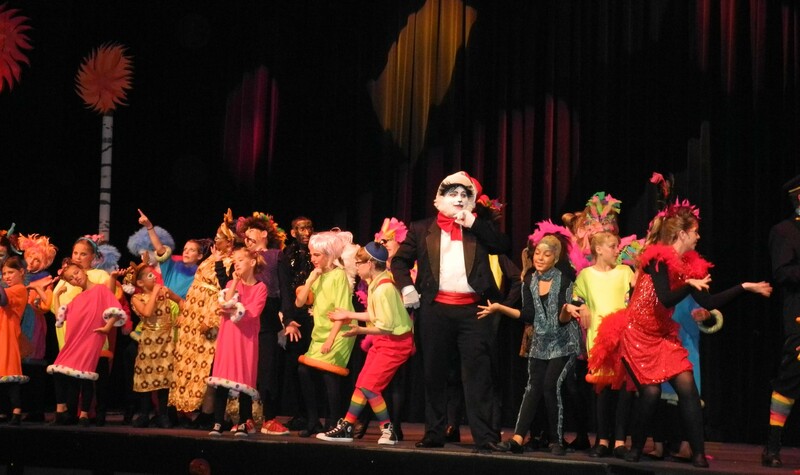 The amazing talents of a large group of kids and adults have pushed themselves to their limits to produce what will no doubt be another great show. And why do they do it? To entertain the audience. 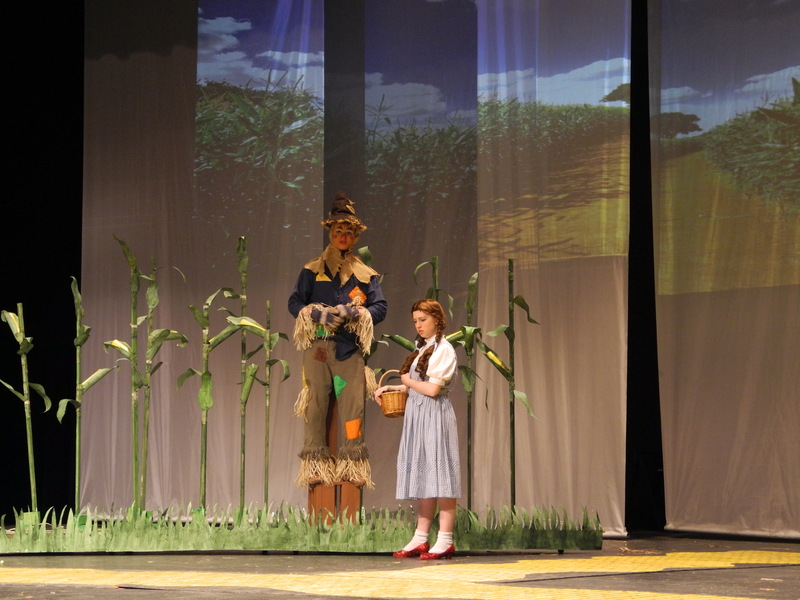 Be part of the audience and come enjoy the Wizard of Oz. 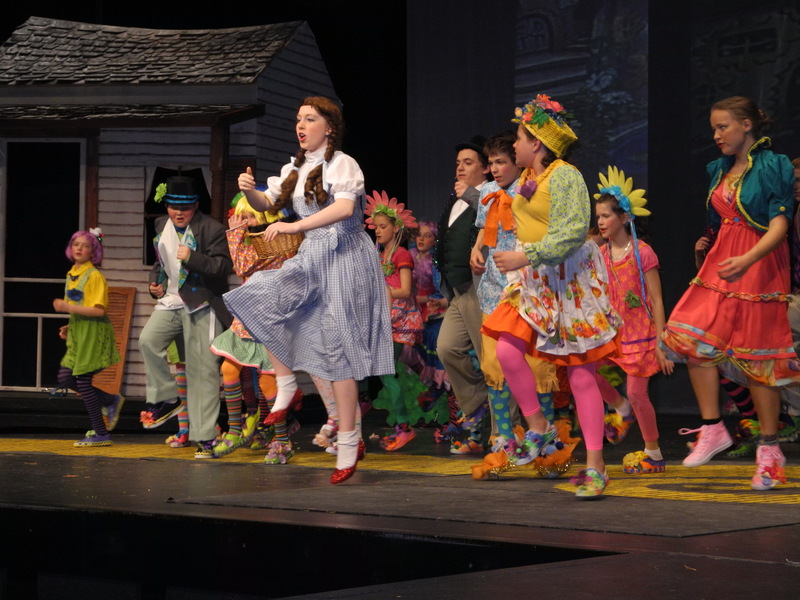 Shows are at 7:30 on Friday May 3 and Saturday May 4 and the Sunday matinee at 2.